One of the newest of the flybridge line, the Prestige 520 Fly has inherited the strengths of her predecessor, yet she also features her very own innovations. Life on board is easy, enhanced by numerous clever details. Her main feature is her XXL flybridge offering the most room seen for relaxing on a yacht this size. Interior, extremely large windows contribute to the warm and bright atmosphere while offering unimpeded visibility. 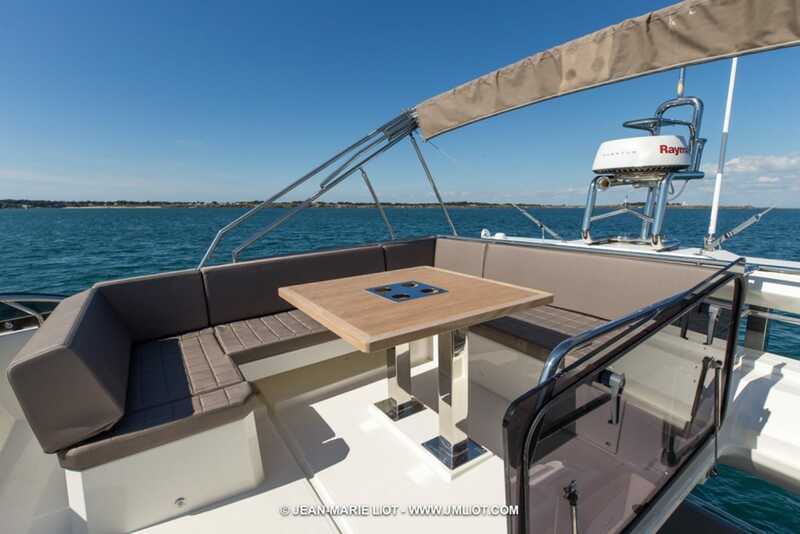 This Prestige 520 Flybridge is designed for relaxation and this is evident starting with the extra, extra-large flybridge. 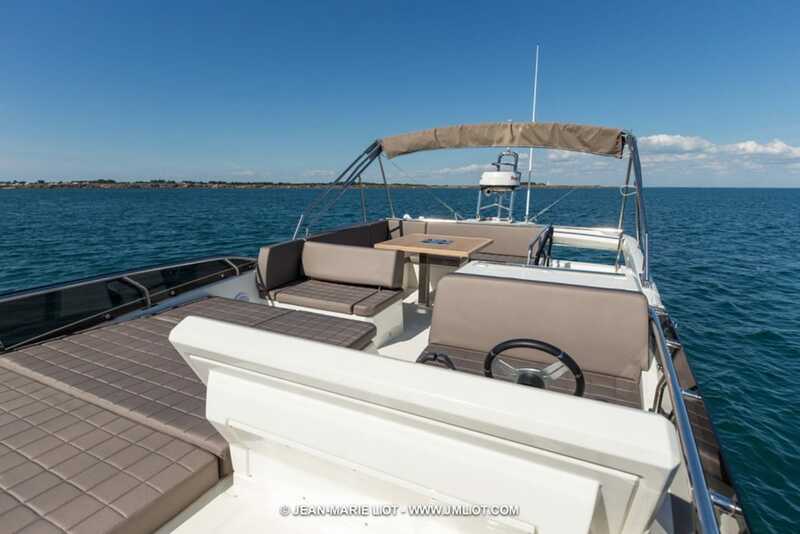 Whether relaxing on the double sun pad, located next to the helm station, or enjoying conversation with friends and family on the wrap around sofa with table and wet bar, you will appreciate the spaciousness this 52-footer offers. In the salon, extra-large windows contribute to the soft, warm atmosphere on the interior, while offering unimpeded visibility. Because of the large windows, the saloon is very bright which evokes a sense of well-being. Facing sofas and a modular cockpit bench seat, which can pivot to face the saloon, create the perfect space for conversations and entertaining. 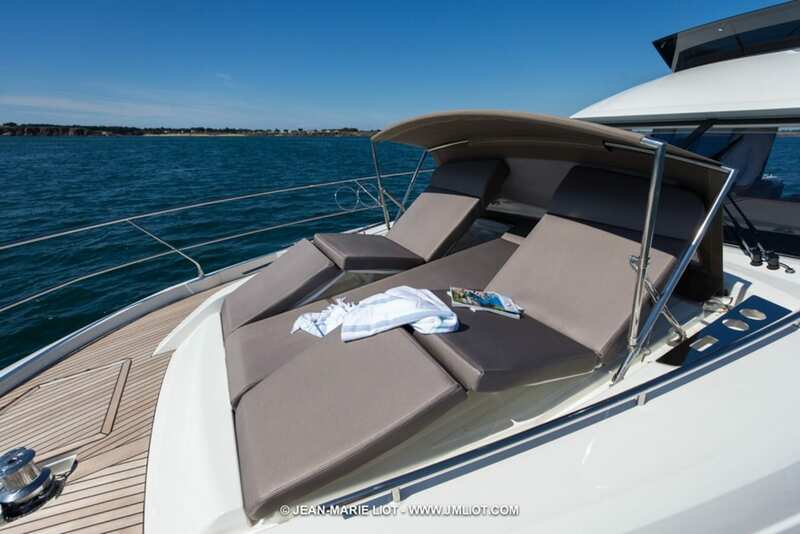 Below, the three cabin, two head configuration of the Prestige 520 not only provides relaxation but the luxury of space to comfortably accommodate six. A private entry for the Master Accommodations allows for privacy, as well as an optional cabin for the skipper is available. 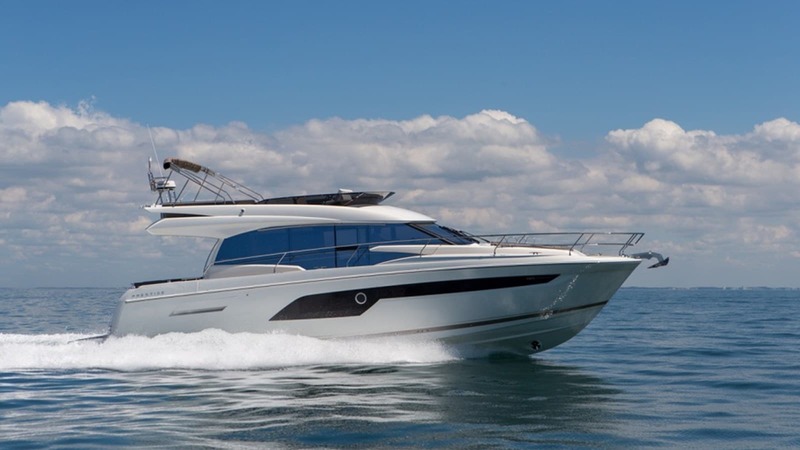 Powered by two Volvo IPS 600 engines, and equipped with the Optional Hard Top, the Prestige 520 can travel up to 26 knots and a comfortable cruising speed of around 20 to 22 knots. 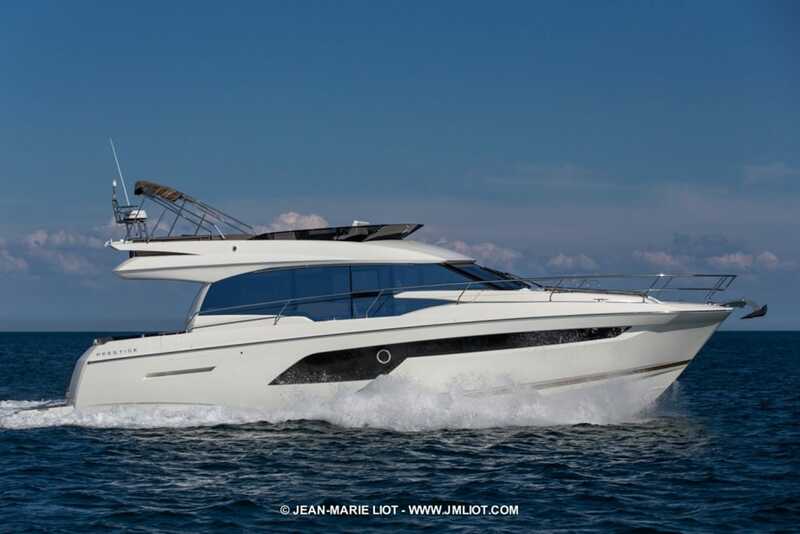 The 520 will make its North American debut at the Ft. Lauderdale International Boat Show in November 2017, Galati Yacht Sales is Prestige’s North America Dealer of the year, and the exclusive dealer for the Prestige line in the Gulf Coast. The latest & greatest of the flybridge line.